Nassau Educational Local 865’s Port Washington Schools Unit and other marchers gather together before the parade begins. 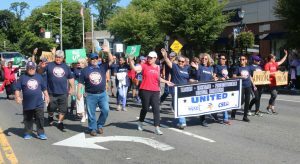 CSEA members and union members representing additional job titles in Port Washington Schools show their union solidarity as they march in the Pride in Port Parade. PORT WASHINGTON — Our Port Washington Schools Unit members showed their union pride and strength at the 2018 Pride in Port Washington Parade.PORT WASHINGTON — Our Port Washington Schools Unit members showed their union pride and strength at the 2018 Pride in Port Washington Parade. Our members in the unit work as custodial, maintenance and transportation in the local schools and have played for years, an active role in the community’s annual celebration. CSEA Port Washington Schools Unit President Ritchie Acevedo shows his union pride. 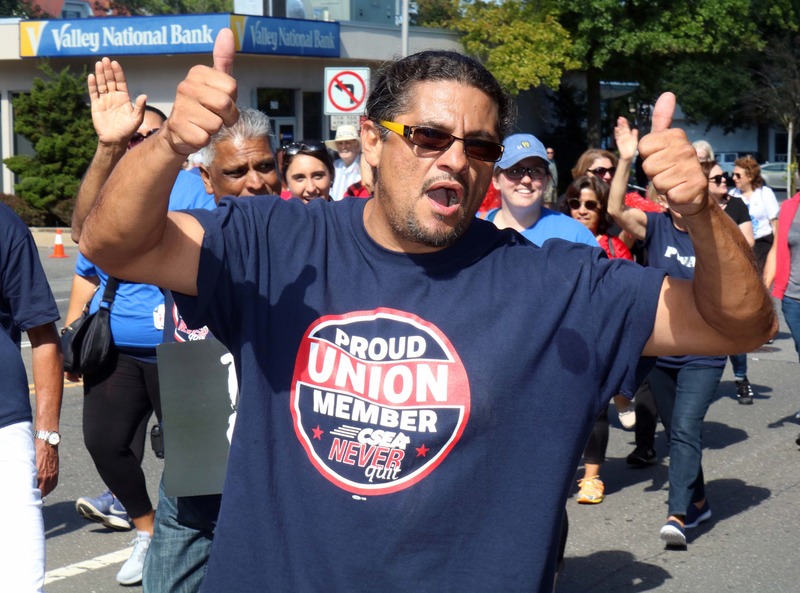 This year, the unit marched with members representing different unions in the school district. 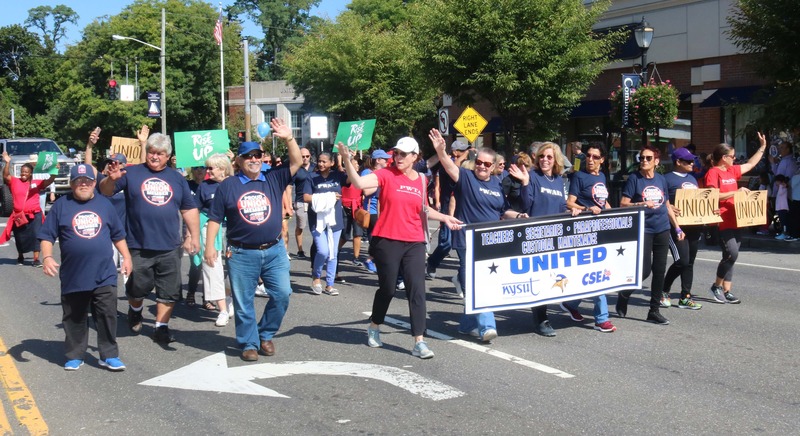 The parade kicks off a day full of events that celebrates the Port Washington community, where CSEA members provide many essential public services. They also volunteer their private time to help with various Pride in Port events.